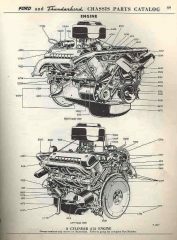 Original automobile literature is valuable to many enthusiasts and collectors as well as extremely useful to restorationists and historians. It can be said that almost anything old is of interest to some group of collectors though few areas of interest are as culturally significant as the development of the automobile. The automobile industry has had an enormous impact on our world and our lifestyles since it grew out of the early horse-drawn coach-building days in the late 1800’s. Technology, manufacturing and advertising all speak volumes about every aspect of human endeavor and social trends over the modern era. 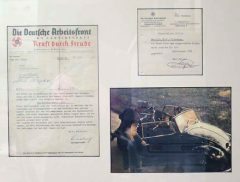 Original automobile literature was produced by the automobile industry in concert with the release for sale of virtually all manufacturer’s vehicles and therefore has all of the earmarks for serious collectors. Some items are extremely rare, the relative condition of any particular item is important and the more one knows, the more interesting the field becomes. For the vintage auto restorationist there can be no better guide to how an antique automobile was painted, assembled and marketed than through the photos and literature printed at the time of production. For any given make and model there might be factory photos, advertising brochures, owner’s manuals and part books along with maintenance and repair manuals. Someone attempting detailed and authentic restoration of an antique automobile would always be wise to seek out these materials for research and reference. 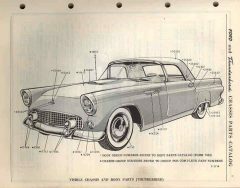 Historians also find valuable links to history in the materials originally produced by the automobile industry as vehicles of all kinds are crucial to an understanding of many historic events. Many know that the development of the Jeep was instrumental in helping the Allies to victory in World War II and that the Volkswagen “Beetle” was originally designed as a Hitler-approved “car for the German people”. Both of these examples are just a few of the important historic tales to be told that can be researched with the aid of original vintage automobile literature.